Futures, What are They and How Do I Trade Them? 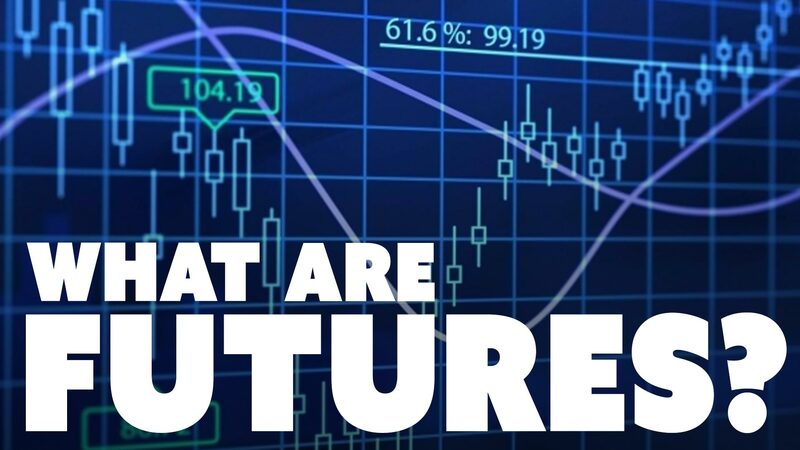 The goal of this guide is to give you a fairly comprehensive knowledge of what futures are, how they work, and how to trade them. If you already understand trading and are comfortable with identifying trends and patterns you should have no issues taking this material and applying it directly to your trading strategies. If you are new to trading then you will need to continue your education after this guide before trading futures. There are additional resource links towards the end of the guide to help further your education. 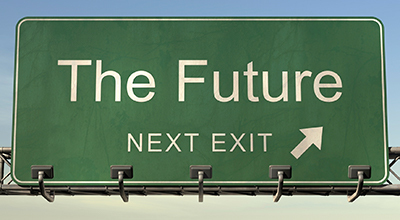 How Does a Future Work? How is a Future Constructed? How Can Futures be used to Make Money? A future is a contract between a buyer and seller where the buyer agrees purchase an item for a set price, at an agreed upon date in the future, from the seller. Futures were originally instituted to lock in pricing in order to take out the uncertainty for the buyer and seller regarding what the price will be on a given date. By using futures, buyers are able to lock in their cost for goods, and sellers are able to know exactly what they will be able to make when selling their product. This takes the volatility of the open market out of their transaction. A future works by setting the price of an item. The best way to illustrate this is with an example. Let’s say for instance you are a candy bar maker and your most popular product has peanuts as the primary ingredient. Now, the price of peanuts can fluctuate a lot from week to week based on current supply and demand, taking into account weather and other global influences. These large swings in price make it almost impossible to predict what the cost of making your candy bar is going to be 6 months from now. The same is true for the peanut farmer, he is currently planning his crop with the hopes that he will be able to make a profit come harvest time. He just hopes that the price of peanuts stays above what his costs are to grow and harvest them. At this point there are two individuals, you (the candy bar maker), and the farmer, that have a problem they wish to solve. That problem is uncertainty of price. It is at this point that you would consider entering into a futures contract with the farmer. You and the farmer would sit down and agree on a fair price to be paid for peanuts and set a delivery date. You would then sign a contract stating that on the delivery date you will take delivery of the agreed upon amount of peanuts for the agreed upon price. This contract now takes all uncertainty out of the price of the peanuts. 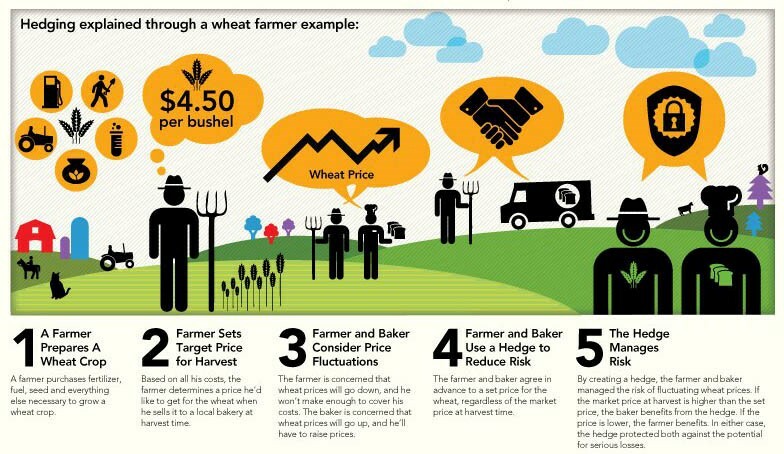 You know exactly what your costs will be to produce your candy bar and the farmer knows exactly what he will make on his crop. It’s truly a win-win! A future contract is made up of four variables: Item, Price, Date, and Quantity. In our peanut example, you and the farmed agreed that: on a specific date you would take the delivery of the specified amount of peanuts for the price you agreed upon. 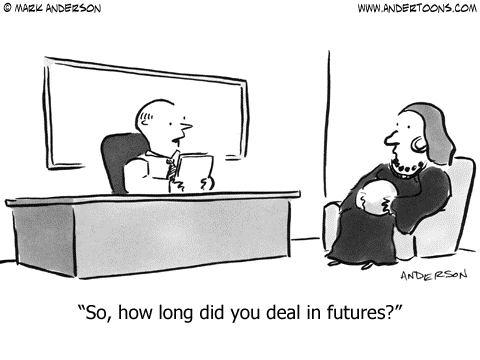 Your agreement was a futures contract, or a contract to make a transaction in the future. The intended use of futures is as a contract between the buyer and seller to lock in a price, with the intent for the buyer to actually take delivery of the product on a given date. Going back to our example, now that this contract is in place it can actually be sold to other parties for a profit on the part of you, the buyer, or the farmer. Let’s say that the agreed upon price for a bushel of peanuts was $50 and the delivery date was 6 months from the contract date. Now after two months the market price for peanuts is $55. That’s great for you, you agreed to buy that same bushel for $50 so for every bushel you buy you are saving $5! Now the contract has some value, someone else would be willing to buy this contract from you in order to save some money when they need to buy peanuts. You could then take that contract and sell it to the highest bidder thereby making money on the contract itself and never taking delivery of any peanuts from the farmer. This transaction would be considered trading an option and is primarily what we will focus on for the remainder of this guide. When looking at trading futures there are two primary ways in which they are traded: Day Trading and Hedging. Hedging with futures is the use of a future to counterbalance a current stock position in order to mitigate risk. For instance, if you are long in stock xyz, you may take a short position in a similar sector’s future. That way if your long position goes against you and loses money there’s a pretty good chance that your short future contract will increase in value and thereby offsetting your loss in the stock. For the rest of this article we will be focusing on day or swing trading futures contracts and how that works. Essentially, though, trading a futures contract is almost identical to trading an options contract. You are basically reading a chart and predicting if you believe the value will increase or decrease and then playing that move. This move could be only a few seconds to several days in length. The goal here, though, is not to hold the contract to expiration but to simply hold it for a long enough period for it to increase in value. Futures contracts are available for just about any securities market out there-from equities, to currencies, to energy, to grains. Take a look at the chart below for more information about the primary sectors as well as the popular products within those sectors. Just like stock exchanges there are many exchanges around the world that offer futures trading. Each has their own rules and regulations, and some futures are exchange specific as well. For the rest of the article we will mainly be focusing on the E-mini S&P 500 (/ES) future. The ES is an Equities future based on the S&P 500 index (we will cover more about it later). All ES trading is done through the CME (Chicago Mercantile Exchange) and its member firms. Unlike the stock market, futures traded at the CME are all sold on a first come, first serve basis. This means there are no market makers picking and choosing orders so a small order has the same priority as those from large institutions. All trades must follow the CME clearing rules and are regulated by the CFTC (Commodity Futures Trading Commission) and NFA (National Futures Association). In most instances, the futures markets have much longer trading hours than stocks. Each product has a different schedule; however, the ES can be traded almost 24/5. For a complete list of trading hours click here. Volume and liquidity are basically two terms that represent the same thing. Volume states the amount of any given security that has changed hands in a given period. Liquidity is a term for how liquid, or easy, it is to buy or sell at any given time. So when volume increases so does liquidity. In the futures world the markets are very liquid meaning that you can almost always find someone to sell to you or buy from you. The spread is the distance between the price of the bid and the ask for a given security. The smaller the spread the easier it is to make a quick profit on a trade. Futures have a very low spread, quite often only 1 tick. When we talk about futures everything is handled in ticks and points rather than dollars and cents. Let’s use the ES to try to explain how this works. If we pull up the chart for ES (symbol is /ES), at the time of this writing the ES is currently trading for roughly 1870. Let’s just say it’s 2000 just to make the math easier. So what does it mean that the ES is trading at 2000? Well, that’s not 2000 dollars, that’s 2000 points. In the case of the ES, each point is worth $50, giving each ES contract a value of $100k. However, because of leverage (keep reading) you do not need $100k to trade the ES, the capital required will be much less and will vary by broker. So what about ticks. A tick is ¼ of a point, i.e. there are four ticks in a point. A tick is the smallest value in which the value can change. So with our current stated value of the ES at 2000 the next available values are: 2000.25 for an increase, and 1999.75 for a decrease. Point values will vary from future to future. 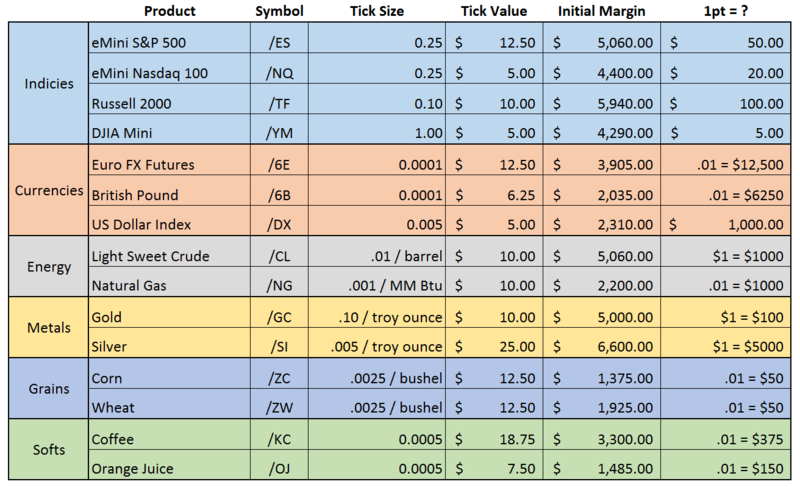 For complete details regarding the value of points and ticks check out this page from barchart.com. Just as with trading other securities, you need to choose the broker that fits your trading style the best. Maybe your current broker offers the ability to trade futures as well. Some of the larger brokers like TD Ameritrade will allow you to trade just about anything but typically come with high commission costs as well. There are also many specialized futures brokers out there that will offer a much lower commission cost, but may also lack some of the bells and whistles of some of the larger brokerages. In the end you need to choose a broker that best fits your needs. Interactive Brokers is a great option for both equities and options because of their low commission cost, but also the fact that they have a long and stable reputation and offer a powerful platform at no cost. Trading futures with them is no different. They offer some of the lowest commissions around and have a great fill rate. $10,000+ is required for those over the age of 25, but only $3,000+ if you are 25 and under. ApexFutures is a smaller operation compared to Interactive. ApexFutures is great because their margin requirement for trading is about 1/5 that of Interactive Brokers or TD Ameritrade. You can trade the most popular future contracts for as low as $500 a contract (compared to $2500+ for most other large brokers). They require $3,000 minimum to fund, and data comes in at a small cost for $3 dollars a month. Their platform is not as advanced as some others available, but this allows them to maintain a clean, lightweight, and extremely functional platform for strictly trading futures. 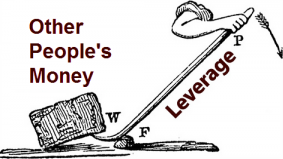 I recently published a much more inclusive post about margin and trading on leverage here. For now, I will give you the quick overview. Basically what it means to trade on leverage is to actually trade with funds loaned to you by your broker. When trading futures, you can hold a position in a future for as little as 1% of the contract value. Extreme caution is needed when trading with margin as the trade can quickly go against you, leaving you exposed to losing more capital than you have invested in your account. If you are unsure exactly what margin is please read this guide. As mentioned earlier the ES is a futures contract for the S&P 500 Index and is traded solely on the CME. The ES is traded 23.5 hours a day for 5 days a week, this almost “around the clock” trading window makes it easy to position yourself during pre and post stock market trading. For the ES each point is worth $50 and each tick ¼ of that, or worth $12.50. The ES is one of the highest traded securities of any kind across all the markets. Because of this extremely high volume, the ES is super liquid, meaning you can pretty much always find someone willing to buy or sell to you regardless of the time of day. The ES also has an extremely tight spread of only 1 tick, making it much easier to get in and out quickly. When it comes to buying and selling a future, and in this case the ES, there is really no difference than when buying and selling any other security. For instance, I have included what an order entry in TOS to purchase one contract of ES looks like. As you can see, if you are familiar with TOS, this future contract order looks just like any other order entry. You have the option to buy or sell, the quantity you are interested in, the symbol you are trading, the expiration date, the type of security, and then all of the same price information as if you were buying or selling a stock. Let’s take a look at several areas of the E-mini (ES) to see how it stacks up with other commonly traded securities. The ES has an extremely tight spread of only 1 tick. A tight spread greatly reduces your cost of entry and puts you closer to a profit right off the bat. The ES market is open from Sunday night at 5pm CST until Friday at 3:15pm, and only closes daily from 3:15-3:30pm and from 4:30-5pm. This allows you to trade basically any time you wish, as well as letting your positions work for you even outside of normal trading hours. The ES is 100% computer based. Meaning your orders are matched, regardless of size, in first come, first serve order. No more worrying about a large institution jumping ahead of you of getting filled at a better price point. The ES offers extremely large leverage ratios, often you can be trading with as little as 1% of its total value. Holding a position overnight does require a higher ratio, but that is still around 10% of the total value. While day trading the ES there are no interest charges on the margin borrowed from the broker, and no special futures account is needed to trade with that margin. With futures you can open a day trade account for as little as $4000. The best part is those accounts have no regulations regarding the Pattern Day Trader rules that apply to stock trading margin accounts. Because of its incredibly high volume (over 2.3 million transactions per day) the ES is an extremely liquid security. Futures Trading in the US are taxed much more favorably than other securities. Futures are taxed 60/40, meaning 60% is taxed at the minimum rate of 15% while the remaining 40% is taxed at the normal 35% that stock trading profits would be taxed at. How to Start Trading Futures? This guide will get you a long way to understand futures but it won’t get you all the way there. You will still need to do some research on your own. You will need to research brokers to find out which one works best for you. You’ll also want to practice with your brokers order entry system to be sure you are comfortable with that. You may have more questions regarding something I talked about here. If that’s the case please feel free to reach out and ask me, I’d be happy to assist in any way I can. Understanding technical analysis will be the single biggest factor when it comes to your success in trading, not just futures but any type of market. You need to be able to identify set ups and patterns and be able to predict which way the price will go. Without this understanding you’ll basically be throwing darts at the wall. I offer many technical analysis courses which I would encourage you to look into; however, even if you do not purchase anything from me your education will be key and you should get it from somewhere! Did I mention you should paper trade? Testing out your strategy and getting used to the markets by being in them is the second largest factor to you being successful. Not only will it get you ahead when it comes to understanding the market but in the end it could save you thousands of dollars! I strongly encourage paper trading to everyone and I still paper trade regularly when I’m looking to test out a new strategy or plan. I have also created an easy to use paper trading spreadsheet that you can access here.